Can you write an exciting story that will keep your reader turning the pages? Remember to think about your spelling, punctuation and how you are going to make the reader read on. Use the story mountain to help you to plan your story. Look carefully at the image below and let your imagination run wild! Could you use the following line as a story starter? Watch the video link below! Write a letter from Peck to Gus asking him to change what he is creating. When writing a fantasy narrative with a real world trigger, try to write three sections for the opening of the story. The real word setting and finding the trigger, the journey to the fantasy land, (no matter how brief) and then arriving in the fantasy world. Perhaps you can find a trigger at home. 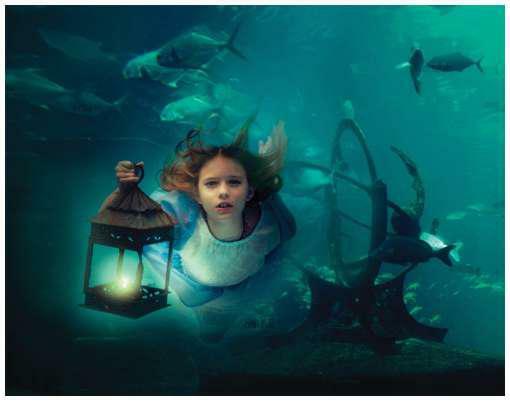 The journey to the fantasy land may be very quick or may take a while; it may be pleasant or unpleasant! 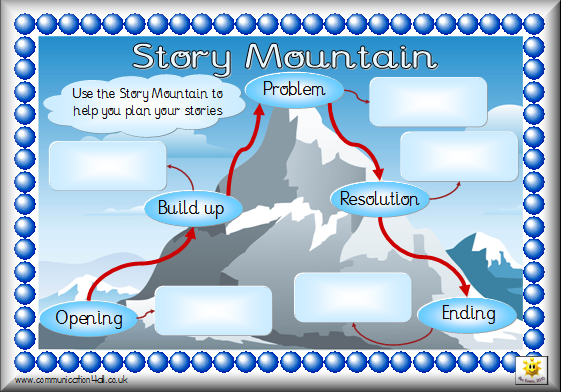 Use the story mountain to help you!